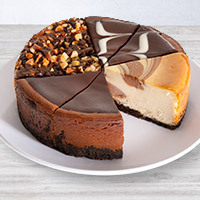 We don’t like to brag about how fabulous our cheesecakes are, but we can’t help but be slightly overenthusiastic about this delicious dessert. 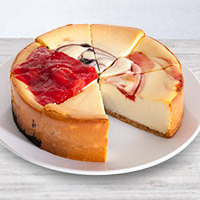 Our Strawberry Swirl Cheesecake is our savory, classic cheesecake amplified with lush red swirls of juicy strawberry. 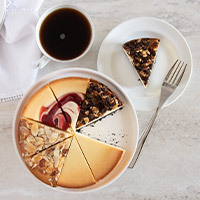 It’s really okay that you’re salivating thinking about it – it happens all the time. And if you’re drooling, well, that’s okay too. 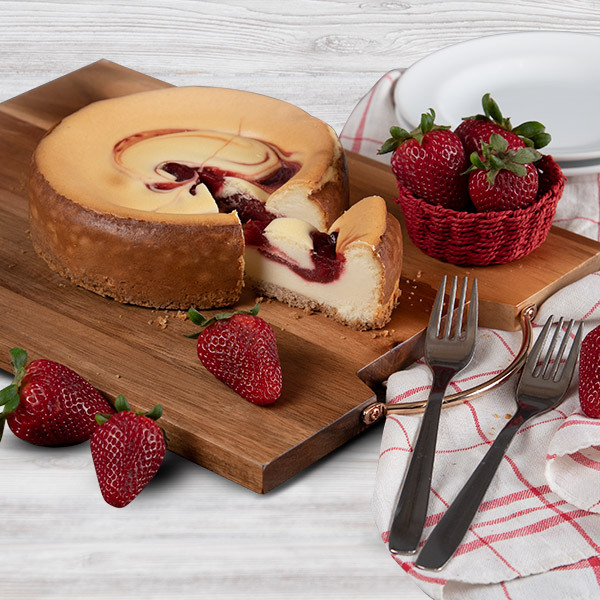 Just make sure to pick up some napkins before this decadent cheesecake is delivered.